Sarah Jones set to add to GB medal tally in Germany. Sarah Jones has been named in the GB squad for the FIH Pro League game away to Germany later this month. The midfield powerhouse had been a regular in coach Mark Hager’s squad for the competition so far. The game in Moenchengladbach on April 24 comes just three days before their first home match against the USA in London. 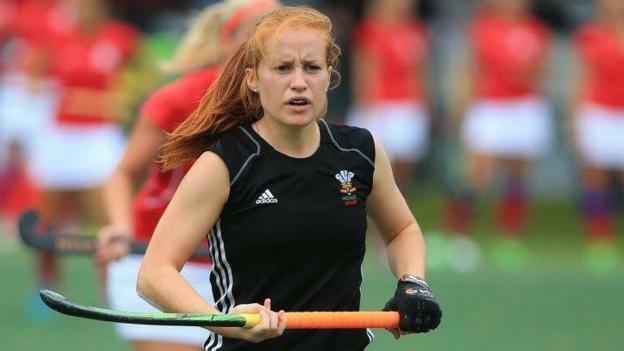 Cardiff-born Jones, 28, has already won 11 caps for GB to add to her 91 for Wales since her debut for the Dragons in 2005. The Holcombe HC player had a good chance of making the GB squad for next year’s Olympics. Germany and Britain are next to each other in the FIH Pro League table in sixth and seventh respectively, each with five points. Germany have played four games while GB have played five times with all their matches away so far. A place in the top four ensure a place in the Grand Final and also a spot in the Olympic qualifiers later this year. Goalkeeper Amy Tennant is back in the squad with defender Giselle Ansley set to win her 50th GB cap.